The Center for Experimental and Applied Economics is associated with the Department of Applied Economics & Statistics at the University of Delaware. Under the direction of Dr. Kent Messer, research conducted in the laboratory explores a wide variety of economic and consumer behaviors and participants receive monetary compensation based on the decisions they make in a variety of different settings. Our major research focuses on land conservation and ecosystem service markets, water quality monitoring, behavioral response to risk, food safety and agricultural policy, and provision of public goods. YoUDee driving the Center for Experimental & Applied Economics’ Mobile Lab, the TukTuk! CEAE team collecting data on consumer preferences for oysters at the Cape May Lewes Ferry Terminal. Delaware Congressman Carney received a tour of the Center for Experimental and Applied Economics in July 2016. 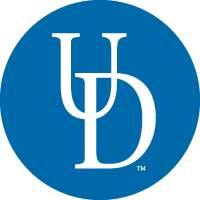 If you are at the University of Delaware and broadly related in issues related to experimental economics, consider joining the “UD Experimental Economists” email list by clicking here. If you are interested in volunteering with the Center for Experimental & Applied Economics, you can apply to join the CEAE Talent Pool. To apply, please complete this form and email a copy of your resume to Maddi Valinski (mvalinsk@udel.edu). Once you submit the full application (web form and resume), we will bring you in for a meeting to discuss the Talent Pool and determine if it is a good fit. We run experiments frequently throughout the course of the year. Please check our recruiting website for opportunities to participate as a research subject.